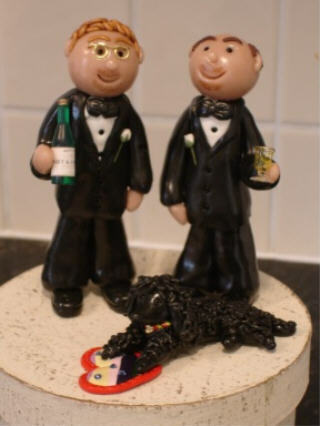 special couple that you are? 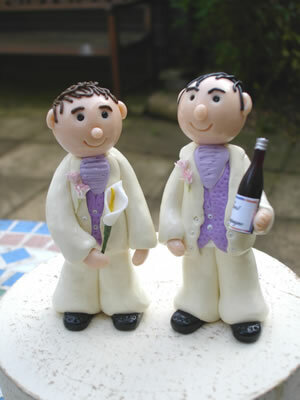 I make cake toppers for all occassions. 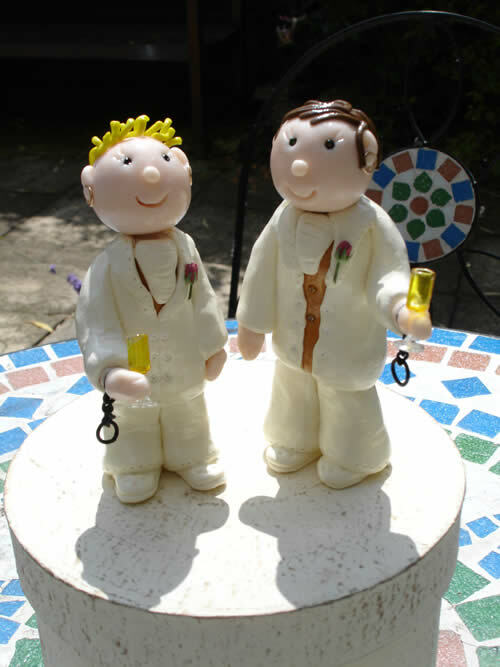 You will not find my cake toppers in any shops: you can only buy them exclusively from me. to treasure for many years to come. 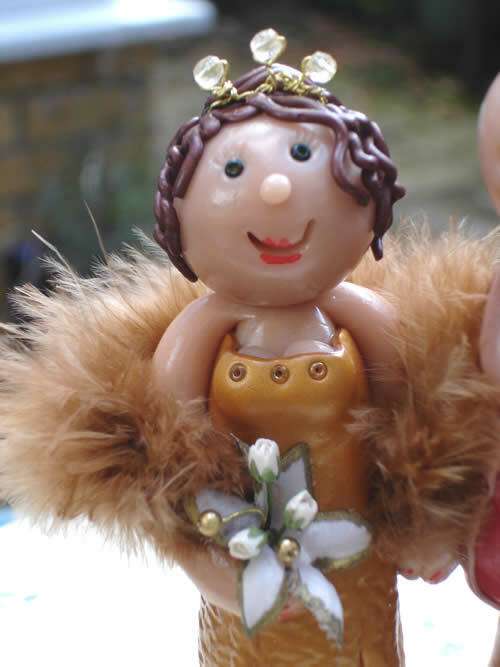 My toppers are very detailed, working from your photographs and information I can add, lipstick, nail varnish, cleavage ! 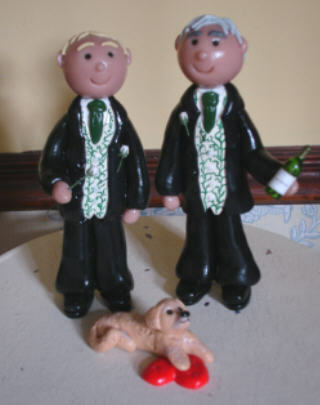 hair styles, your wedding attire, and If you wish for a cherished pet to be part of your big day, they can be made to your requirements too. Do you wear a uniform? 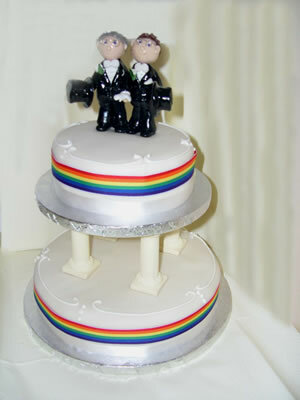 would you like this to be your wedding attire? 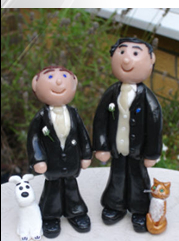 My cake toppers are 100% hand made from Fimo Clay No moulds are used. 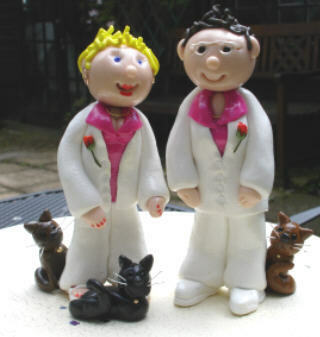 The Fimo Clay is non toxic and non edible.